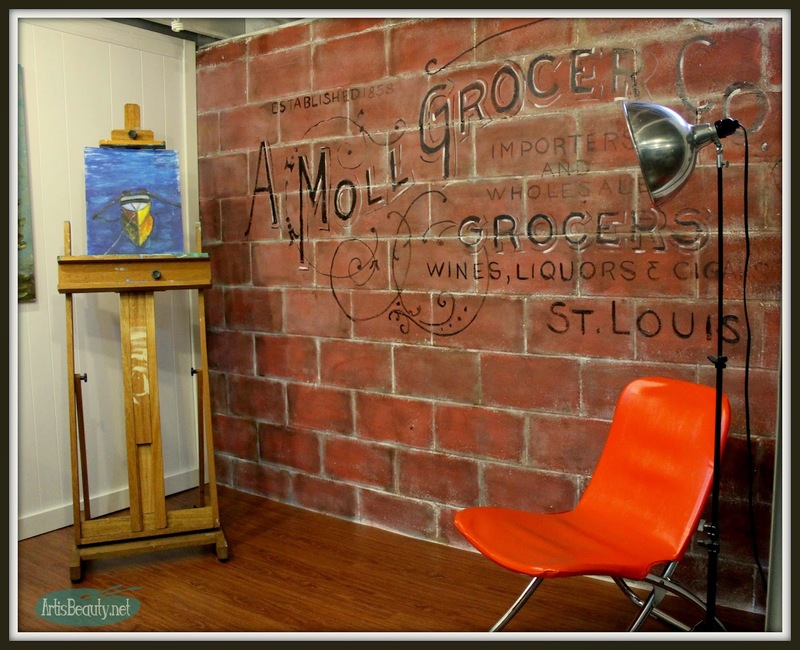 ART IS BEAUTY: Favorite Projects of 2014 BLOG HOP! 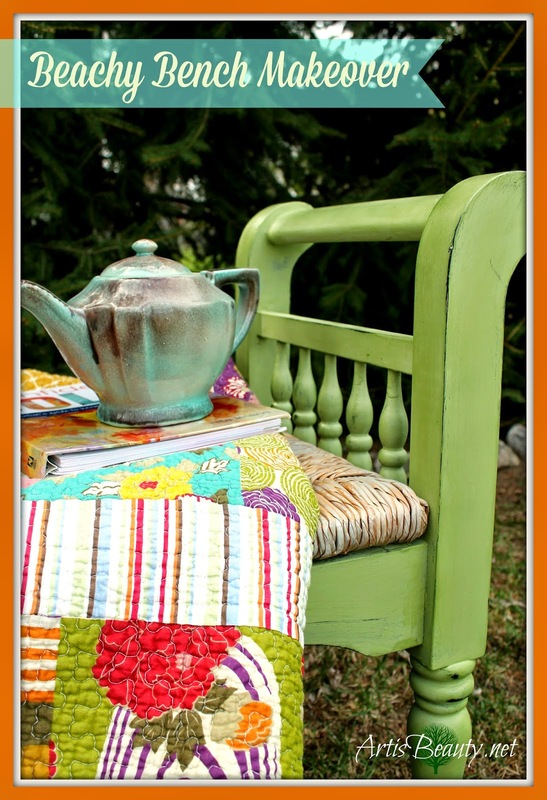 Favorite Projects of 2014 BLOG HOP! Can you even believe that 2014 is at an end? 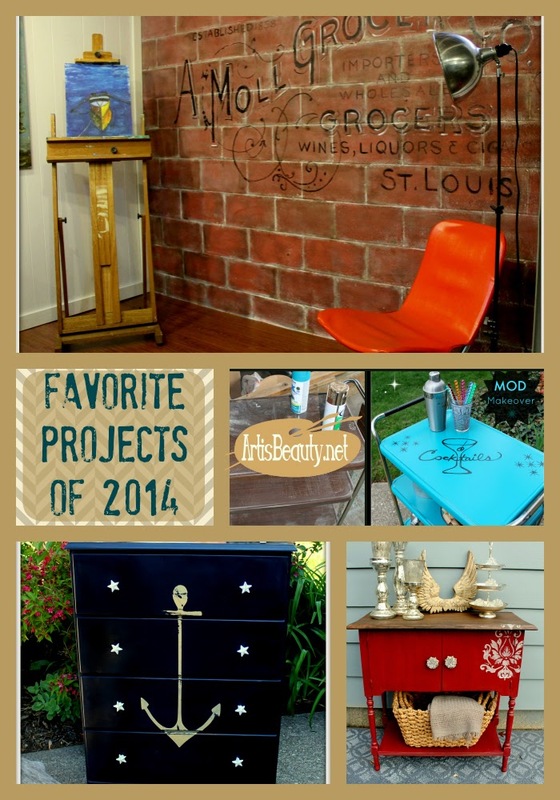 go over some of my favorite projects to 2014. 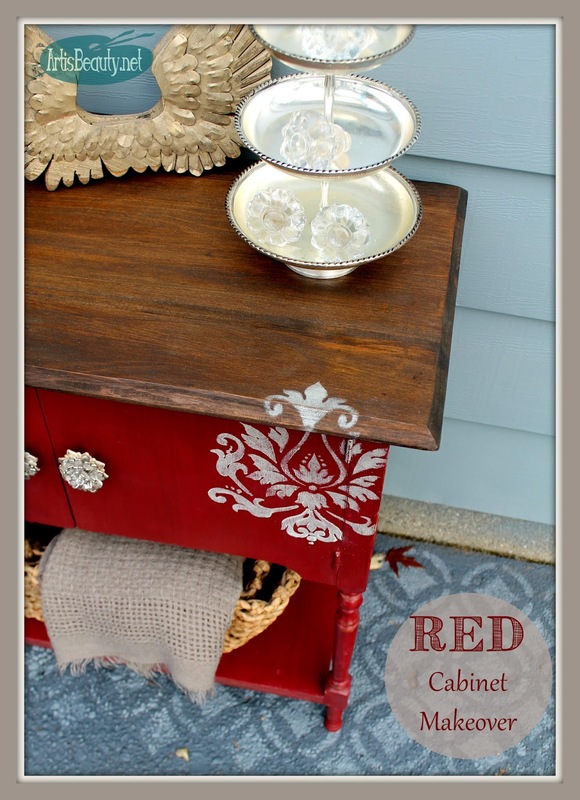 The next favorite was a dresser I needed to do for my Baby girl. 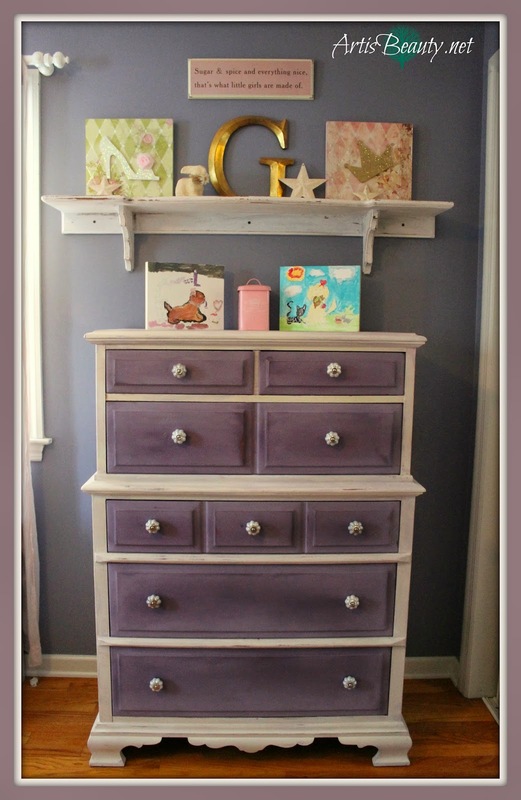 You can see the whole makeover of her NEW ORLEANS Purple dresser HERE. Next up was this simple little vintage Cosco Rolling Cart. 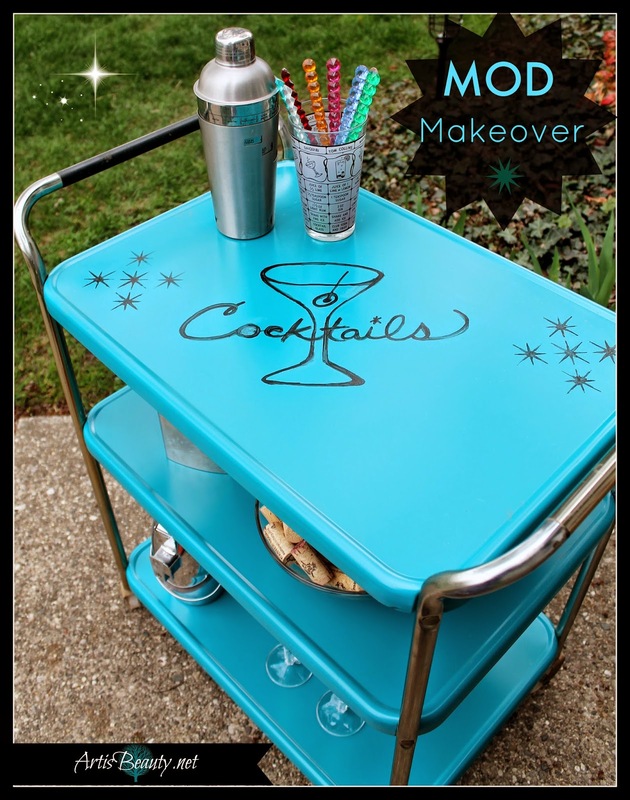 cart a MOD makeover into a cocktail cart. As I look back I see how much I was influenced by my dads old Navy uniform. how much of an impression his photos and old coats had on my brain. Nothing crazy, just a simple and quick makeover, but it made all the difference for this bench. 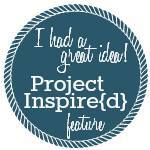 this was one project that really was fun. Looking back at this really has me missing summer. 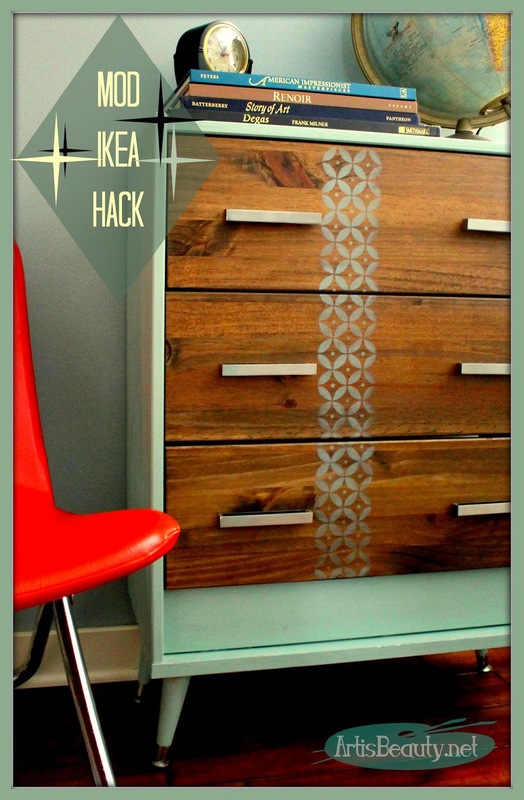 I was asked to HACK this Ikea dresser and I decided to go MOD with it. You wouldn't believe what she looked like before. it HAS to be my absolute FAVORITE of the YEAR! Plus the fact that is totally and utterly for ME..
makes it even more special. It really is so good to do these year end roundups. that I would have my own Studio by the End of the year. Honestly, it is truly amazing what can happen in a single year. It also shows me how hard I worked. that I truly was putting my blood sweat and tears into my work. A way to look back to see if I was putting my heart into it still. So I guess, until I start doing these year end reports and not being happy with what I see.. I will keep on doing what I love. reading about it and following me along. So I guess that's the part of the report where I may get a below average mark..
that all I can do is try my best. I hope you will continue to join me on this amazing journey. portion of the report I would love it. You can do that by following me on the many platforms. You want to see some more Favorites of 2014? Then be sure to check out some other fun favorites! Go have a Super Gorgeous Wonderful Terrific BEAUTIFUL, Day!